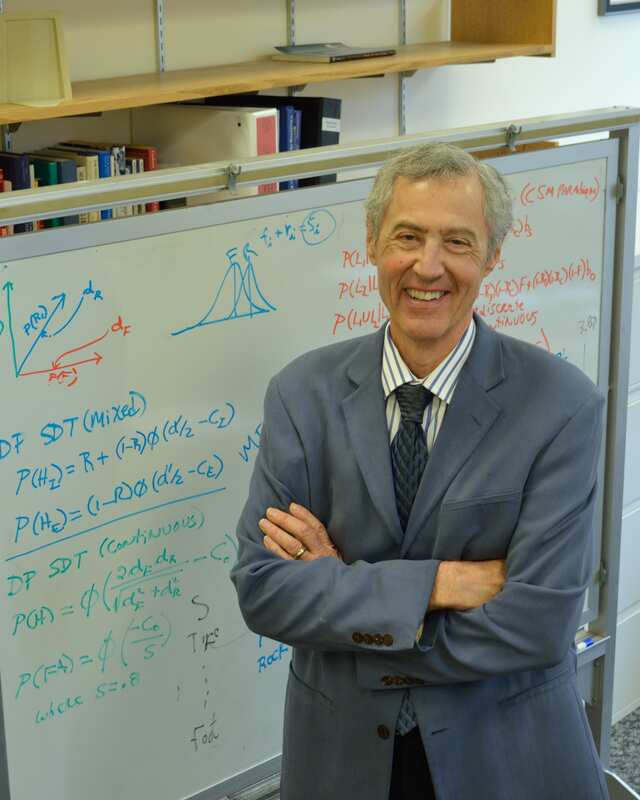 Charles Brainerd, professor of human development and human neuroscience, will receive the American Psychological Association’s G. Stanley Hall award for distinguished contributions to developmental science at the APA’s August 2019 meeting in San Francisco. Regarded as the highest honor in the field of developmental psychology, the award is given to an individual or research team who has made distinguished contributions to developmental psychology in research, student training and other scholarly endeavors. Brainerd’s research has had an impact on educational, developmental and cognitive psychology, and he is credited with major breakthroughs across his theoretical and empirical work. According to the APA, the award is based on the scientific merit of the individual’s work, the importance of this work for opening up new empirical or theoretical areas of developmental psychology, and the importance of the individual’s work linking developmental psychology with issues confronting society or with other disciplines. Brainerd’s current research centers on the relationship between memory and higher reasoning abilities in children and adults, also focusing on false-memory phenomena, cognitive neuroscience, aging and neurocognitive impairment. He has published more than 300 research articles and chapters and more than 20 books. His research covers human memory and decision-making, statistics and mathematical modeling, cognitive neuroscience, learning, intelligence, cognitive development, learning disability and child abuse. Brainerd has been elected to the National Academy of Education; is a fellow of the Division of General Psychology, the Division of Experimental Psychology, the Division of Developmental Psychology and the Division of Educational Psychology of the American Psychological Association; and is a fellow of the American Psychological Society. The editor of the journal Developmental Review, Brainerd has served as associate editor for journals including Child Development and The Behavioral and Brain Sciences. Brainerd’s win of the 2019 G. Stanley Hall Award immediately follows the 2018 win of Stephen Ceci, the Helen L. Carr Professor of Developmental Psychology in the Department of Human Development. Stephen D’Angelo is assistant director of communications at the College of Human Ecology. Posted in Features and tagged aging, American Psychological Association, APA, APS, Association for Psychological Science, Charles Brainerd, child abuse, children, cognitive development, College of Human Ecology, Cornell University, decision making, developmental psychology, editor, experimental methods, false memory, fellow, Fuzzy-Trace Theory, human development, learning, learning disability, mathematical modeling, memory, National Academy of Education, neurocognitive impairment, neuroscience on December 12, 2018 by Allison M. Hermann, Ph.D..